Film review – Rogue One: A Star Wars Story (Gareth Edwards, 2016) | Cinema, etc. This is a REVIEW and therefore will contain some elements of spoilers. You can get to the picture of the stormtroopers before you start getting angry with me. When Rogue One: A Star Wars Story was first devised we were living in a cinematic landscape where the Star Wars series, arguably the most successful film franchise of all time, hadn’t had a genuinely well-received film for three decades. Fans were understandably very skeptical of the new buyout of Lucasfilm from Disney and, whilst the main saga films had a lot of attention on them, the so-called spin-off films were deemed much less important. With the pressure off, director Gareth Edwards seemed to have a free pop at the big time. Then The Force Awakens happened. This is a film that became the third most successful film at the box office of all time, received a hefty number of awards and nominations and was universally critically acclaimed. I liked it too. Essentially, J.J. Abrams had achieved the impossible: a film liked by both critics and fans, that tied into the original saga, introduced a host of new likable characters, was a box-office smash and set up the trilogy (or more) perfectly. Suddenly, Gareth Edward’s mini-sidequest was a top priority for Disney. Its release date change from a mid-summer release to the same window as The Force Awakens had been released in the previous year, presumably to capitalise on the merchandise sales in the run-up to Christmas. 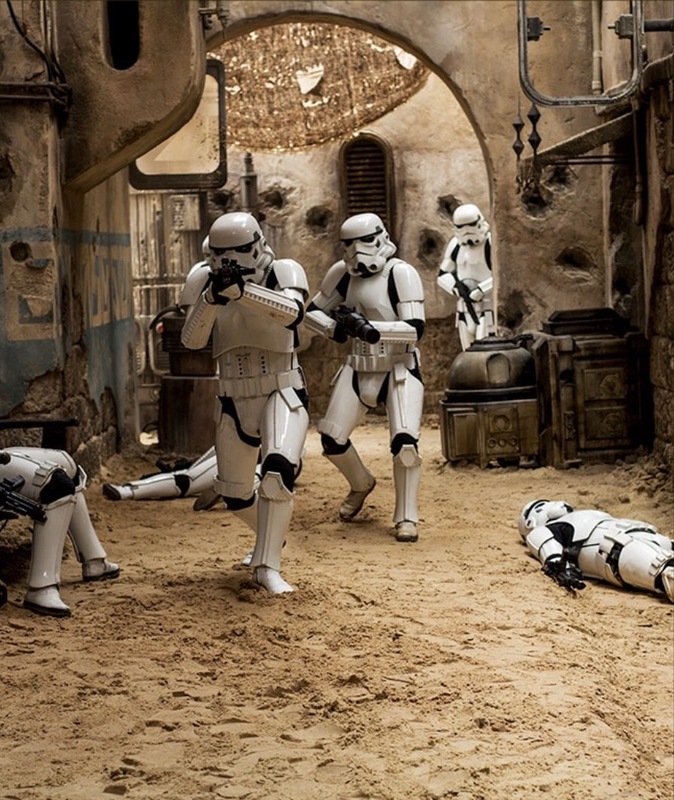 The focus was on it to fill the void between Episodes VII and VIII, and with it came a shift from a gritty war film to a bonafide entry into the series, with all the required family-friendly edges. This was when the fans started to really worry. Reshoot were ordered and the final edit was given to Bourne Legacy director Tony Gilroy. The vision of Gareth Edwards was going off track, in a way reminiscent of Edgar Wright’s Ant-Man issues, which by all accounts was a totally missed opportunity to add something unique to the Marvel Cinematic Universe. We were all hoping that these issues wouldn’t spoil what would have been a bold and fresh statement for the franchise, and as the opening moments played out our concerns would duly be answered. Rogue One is set in a time immediately prior to the events in the very first film, 1977’s Star Wars (later renamed with the additional ‘A New Hope’ tag). We follow the uniting of an unconventional band of rebels as they seek to discover the plans for the design of a new superweapon being completed by the Empire. 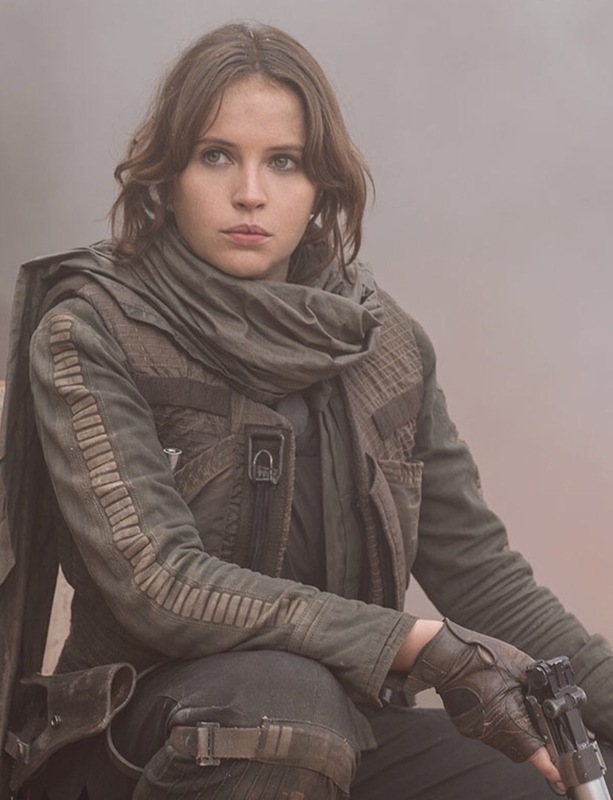 The figurehead of the team is Jyn Erso (Felicity Jones), the daughter of Galen Erso (Mads Mikkelsen), a man responsible for designing the weapon but working with his heart for the resistance rather than for the man overseeing the project Orson Krennic (Ben Mendohlson). He has secretly put a fatal flaw in the design that he hopes Rebels can expose to destroy the superweapon and prevent the total destruction of entire planets. The rest of the clan is made up of Rebel Alliance officer Cassian Andor (Diego Luna), blind warrior Chirrut Îmwe (Donnie Yen), the gun-wielding Baze Malbus (Jiang Wen), defected Empire cargoship driver Bodhi Rook (Riz Ahmed) and modified droid K-2SO (Alan Tudyk). It is such a brilliant concept that it makes you wonder why this wasn’t considered as juicy-enough plot for the underwhelming prequel trilogy. Previously, Star Wars fans have only had four absolutely amazing films and three totally underwhelming and dreadful films. We could be forgiven for expecting Rogue One to sit in one of these two camps. The truth is that it lands somewhere in the middle of the two, though perhaps closer to the good instalments. There are some absolutely triumphant moments. The final act of the film, which is essentially a brutal last-gasp battle to get the plans, is a riot. For almost an hour, this film is everything we hoped it would be: an unforgiving journey as our group of rebel heroes seeks to bring down the Empire, willing to sacrifice their lives for the greater good. To get there, however, we don’t have a really easy time of it. The very opening sequence may bring a bit of excitement, but the subsequent 20-30 minutes are really ploddy, with Michael Giacchino’s score trying desperately to inject some life into the on-screen dialogue but unintentionally mismatching the tone of the scenes. K-2SO, the obligatory droid, will undoubtedly be a marmite character. He has some of the best lines but occasionally doesn’t really feel like a droid. The comeback is that Cassian has reprogrammed him, but he still needs to feel like a droid to be a convincing part of this universe. The biggest sins come in the form of a terrible CGI treatment for two characters nobody expected to see: Princess Leia and Grand Moff Tarkin. Say what you want about these two renderings, but I was absolutely not convinced. For it to work, the technology and its handling need to be 100% absolutely perfect or the illusion is lost. This is simply not the case. It’s sad, because it is arguably the best ever 3D rendering of a human character in a serious film. It is possibly an argument for a specialised version in about twenty years’ time. 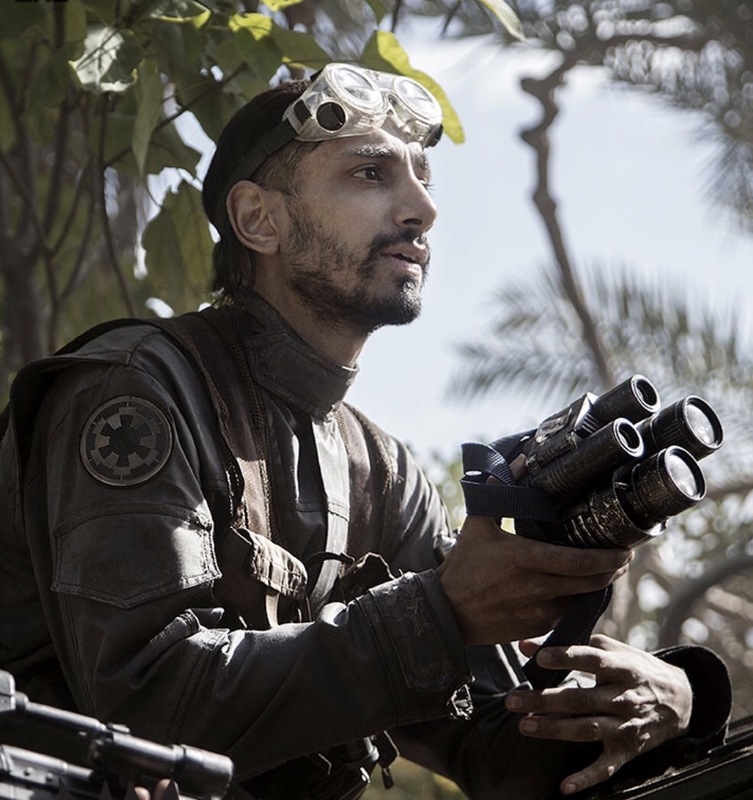 How has Riz Ahmed not been more successful? 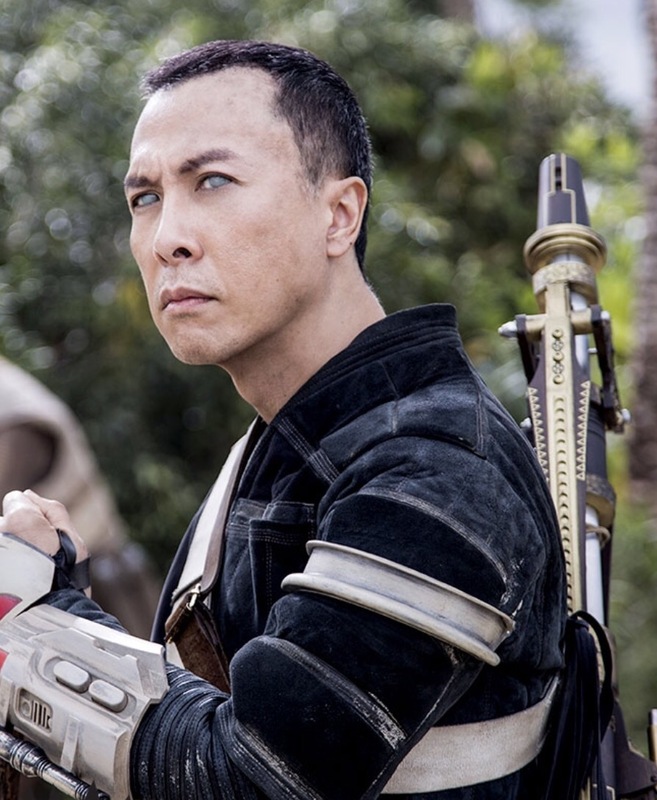 The two standout characters were Bodhi and Chirrut. Riz Ahmed has been underrated for years, despite providing excellent turns in the likes of Four Lions, Ill Manors and Nightcrawler. As a man seeking to use his position in the Empire for the greater good, he steals some of the best moments in the early parts of the film and allows everyone to catch up with him throughout the rest of the picture. Donnie Yen appears a little later in the plot but makes up for it with some brilliant self-choreographed martial arts sequences. I could watch him do that all day. With all said and done, Disney have probably made the right business move in lightening the mood and commercialising their property. It feels like two films that two factions are wrestling over. In many years to come, the reality of the situation will come to light and we’ll probably get a director’s cut. As it stands, we have a very good film that knocks the socks off any of the prequel films and gives the fans the backstory they’ve strived for since 1983. It isn’t the best Star Wars film ever made, as some people are eager to claim, but it certainly isn’t a poor entry either. Go and see it, enjoy it, buy an action figure or two, and keep your appetite in check ahead of Episode VIII.